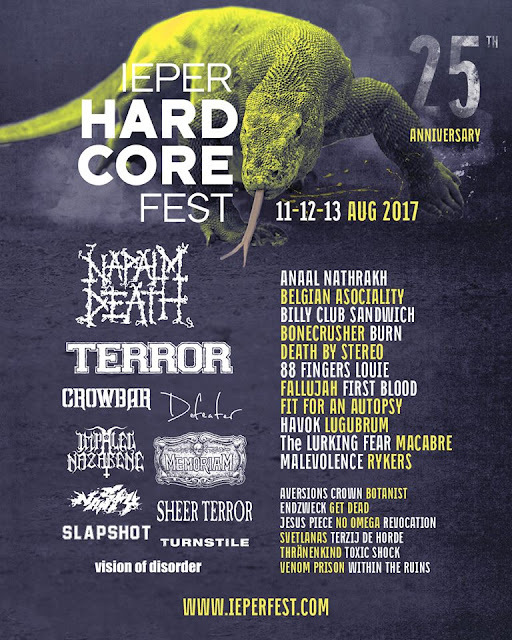 IeperFest celebrates its 25th anniversary by confirming 40 acts. The announcement includes Napalm Death, Terror, Anaal Nathrakh, Nasty, Impaled Nazarene and Crowbar among others. My, my, this summer is certainly interesting!